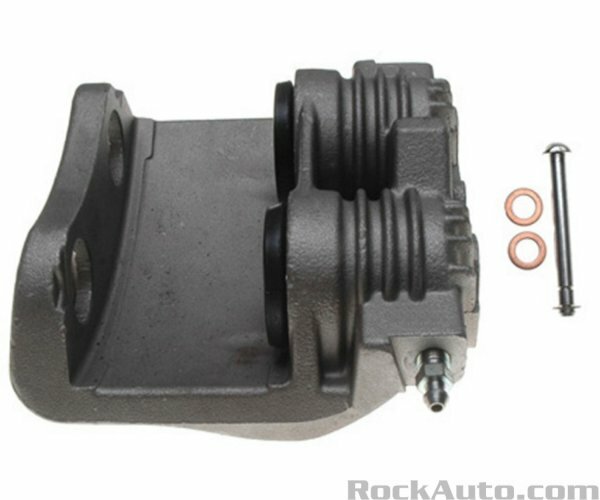 Q: What kind of brake caliper do I have here? I think it's for an 3rd gen 89-92 Camaro/Firebird w/ the 1LE package, but I'm not 100% sure. An equivalent part # and year would be perfect so I can list it on eBay. I'm going through my race spare inventory because I'm OCD like that and I think I was sent the WRONG caliper by Rockauto. Since it's been a few months. 1) Before my last race, I was upgrading my tbird to use SN95 Mustang Cobra calipers and 13" rotors because we totally cooked our last setup during a track day @ Laguna Seca. 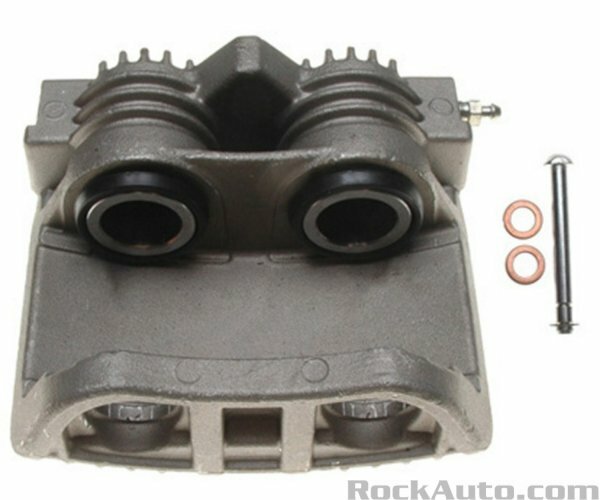 2) Thinking that I would save a few bucks, i accidentally bought what were supposed to be C4 Corvette Calipers. It turned otu that they had the same PBR casting but they used a different sized mounting hole on the brake caliper. Really, I didn't know what I was thinking -- maybe that engineers would have tried to share parts as much as possible. Dumbass me. 3) Anyway, I decided to keep the calipers and just sold off the C4 brackets. 4) After my race, I was going through my spares, and found that for one caliper, I think I received something different than what I originally ordered. I didn't catch this until now. 5) To add insult to injury, it's just about 1" too far for my SS brake line to comfortably reach. - It's a driver side caliper. At least, that's where it would go if the bleed port is on top. - However, banjo bolt port is different from the Mustang Cobra; it's on the bottom directly opposite the bleeder valve instead on the back of one of the piston bodies. I'd appreciate it if one of you GM nerds could confirm this for me and exactly what vehicles this mystery caliper will fit. This way, I can list it properly. Of course, if any of you want this reman, never used caliper, send me an email and we can cut a deal. 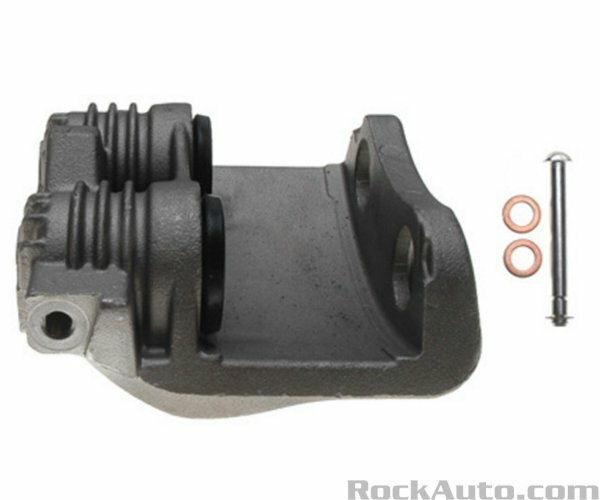 I paid $130+ship for caliper+bracket and just want to get most/some of my money back on it. Shoot me an offer.